The sink/plumbing fixture production process includes type 304 and 316 stainless steel. 90% of the ingredients used for newly melted stainless steel coils delivered to Just Mfg are of recycled scrap. 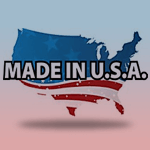 Our mill source is located approx 330 miles from our facility. In-plant, scrap stainless byproduct is accumulated daily and picked up weekly by our contracted scrap hauler. This steel is ultimately recycled into new stainless on the mill level. Corrugation materials for finished products are of 35% recycled materials, which is the standard percentage for recycled paper products. Paper products used for forms, catalogs and price books are produced from recycled paper products as well. Internal operations are such that paper computer printouts are only used when absolutely necessary as emailing and data posted to the server is preferred whenever possible. 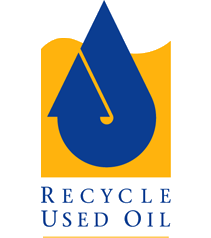 Oils used at our polishing work stations are recycled internally and reused. Water is separated and cleaned appropriately. Metal sludge that is a byproduct of polishing operations is separated and shipped to scrap resellers for processing to reclaim and recycle the stainless steel within. Working and conditions are a priority that is uppermost to employee health and morale. With this in mind air scrubbing and recirculation equipment are used at key polishing work stations. Air intake is put through filters and returned to the work space dust free. Cleansers used at clean up stations are citrus based and more user friendly.